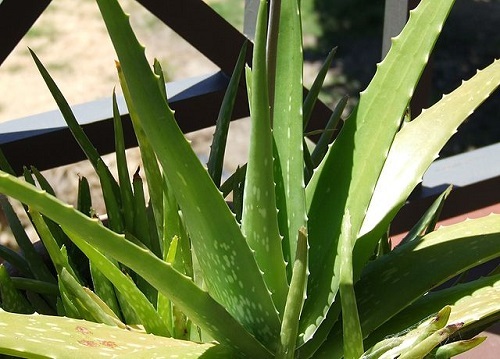 Aloe and aloe vera are names of plants that are closely related to each other, and thus have many things in common; however, there are distinct differences between the two plants. The main difference between aloe and aloe vera is their classification or ranking in taxonomy. Taxonomy is the hierarchy of beings from the generic to the specific kinds of living organisms. Between the two, aloe is considered the genus, and aloe vera is the species. 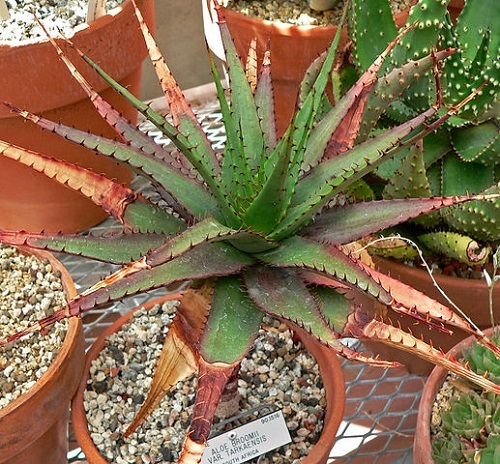 In taxonomy, aloe as a genus is higher, and aloe vera as a species ranks lower. This means that the genus is a general category, and the species is a specific category. In a species, the actual organism’s name is mentioned. By virtue of rank, aloe and aloe vera share the same kingdom, phylum, class, family, and subfamily. Because of the taxonomy, there are overlapping similarities between aloe and aloe vera. Both aloe and aloe vera can grow in many places and adapt to different climates. They also share many characteristics like thick, fleshy leaves with the color of green to grey-green. Its leaves are serrated due to the little white “teeth” that line the leaves’ edges. The plants have very little stem, and they have a rosette pattern. The flowers are characterized as tubular and bloom in the summer in different colors of yellow, orange, and red. Aloes, along with their 400 species, are succulents or water-retaining plants. This is due to the weather in Africa where the plant originated. The species of aloe (including aloe vera) are mostly ornamental with some medicinal attributes. Aloe and its species, namely aloe vera, aloe perryi, and aloe ferox have been used as medicinal plants since the ancient Greeks until the modern times. Its uses are diverse – from treating burns, cuts, scrapes, wounds, itchy skin, insect bites, and skin infections. Aloe has salicylic acid, a component that acts a soothing agent to the skin. It has been a traditional herbal medicine of China, Japan, Russia, Saudi Arabia, United States, Jamaica, Latin America, and India. As an ornamental plant, aloe and its species is considered as decorative plants and has a constant presence in a garden or is often placed in a pot. It can be grown outdoors or indoors. Its medicinal properties are also one of the reasons why households often have this plant in their backyards. It also clears toxins such as formaldehyde from the air. As a species, aloe vera is the most widely recognized and popular species of aloe. It is often used as one of the ingredients in various concoctions like skin moisturizers and anti-irritants. Its seeds are also utilized as bio fuel. Additionally, it can be used as a laxative or as a food substance due to its gelling properties. Aloe vera also comes in a juice form used to relive conditions like heartburn and irritable bowel syndrome. The aloe vera sap is a common ingredient in makeup, tissues, soaps, sunscreens, incense, shaving creams, and shampoos. Other uses include artificial insemination in sheep and water conservation on farms. Aloe vera is described as non-toxic and has no known side effects after the removal of aloin. 1.The main difference between aloe and aloe vera is their scientific classification or taxonomy. Aloe is ranked as a genus, while aloe vera is a species. As a genus, aloe is ranked higher than aloe vera. 2.Aloe has 400 species, and aloe vera is only one of these species. 3.Similarities overlap in discussing aloe and aloe vera. Most of the attributes of aloe vera are also reflected in the other species of aloe. This includes its attributes and uses as traditional medicine. Celine. "Difference Between Aloe and Aloe Vera." DifferenceBetween.net. September 11, 2017 < http://www.differencebetween.net/science/nature/difference-between-aloe-and-aloe-vera/ >. Very good. Concise, accurate summary. Thanks for this summary. Helpful indeed!